Will be available in October. 8 oz. full size MK2 Fragmentation Solid Milk Chocolate Hand Grenade. Taste the explosion. Packaged in a wood crate printed metal tin. 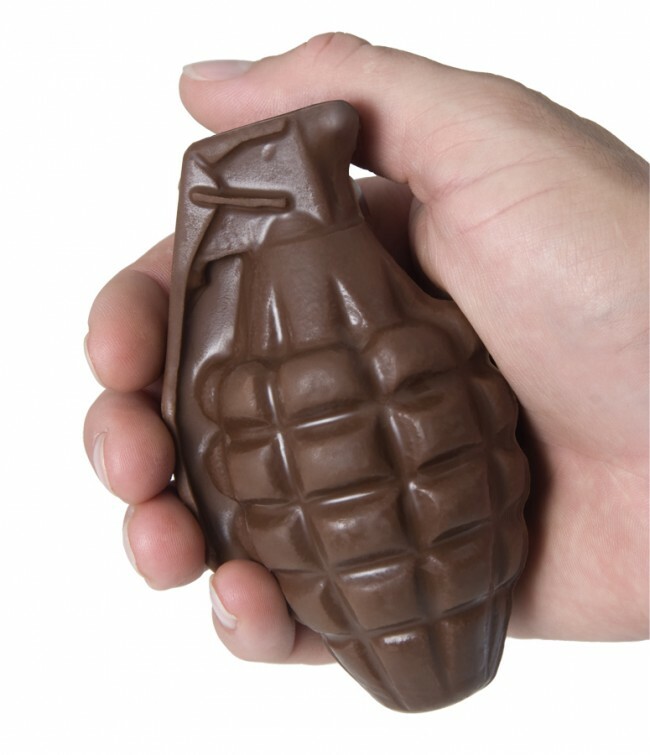 Replicated after the MK2 Fragmentation Hand Grenade, the milk chocolate hand grenade is a more peaceful way to resolve any conflict. The 8 oz. 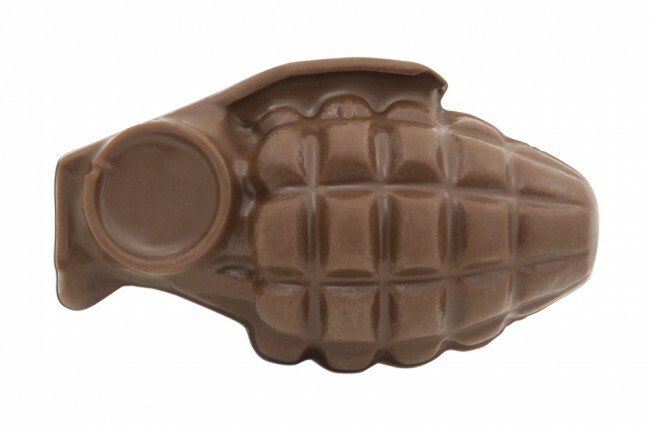 solid milk chocolate hand grenade is the best tasting chocolate hand grenade you will find anywhere. 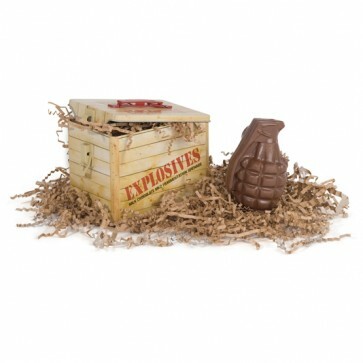 The classic wood crate design of the tin makes the chocolate hand grenade a wonderful collectors item. The tin is reusable, stackable and able to be locked. After the fragments of the chocolate hand grenade are gone, store your real ammo or anything else for that matter in the tin. Ingredients: Sugar, Partially Hydrogenated Palm Kernel Oil, Cocoa Powder, Nonfat Dry Milk Solids, Whole Milk Solids, Reduced Mineral Whey Powder, Soya Lecithin (an emulsifier), Salt and Artificial Flavor. Allergen Info: Contains Milk and Soy. May contain trace amounts of peanuts due to common processing equipment.